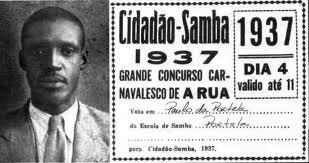 Paulo da Portela (June 18, 1901 – January 31, 1949) was one of the most important sambistas in the history of carioca samba. He was one of the founders of the Portela samba school in the 1920s. He is also remembered for having significantly reduced tensions between Rio’s largely Afro-Brazilian samba world and the authorities of Brazil’s young first republic (1889 – 1930), who tended to treat sambistas – inextricably associated with Afro-Brazilian religion, capoeira and, in their eyes, vagrancy – with disdain. 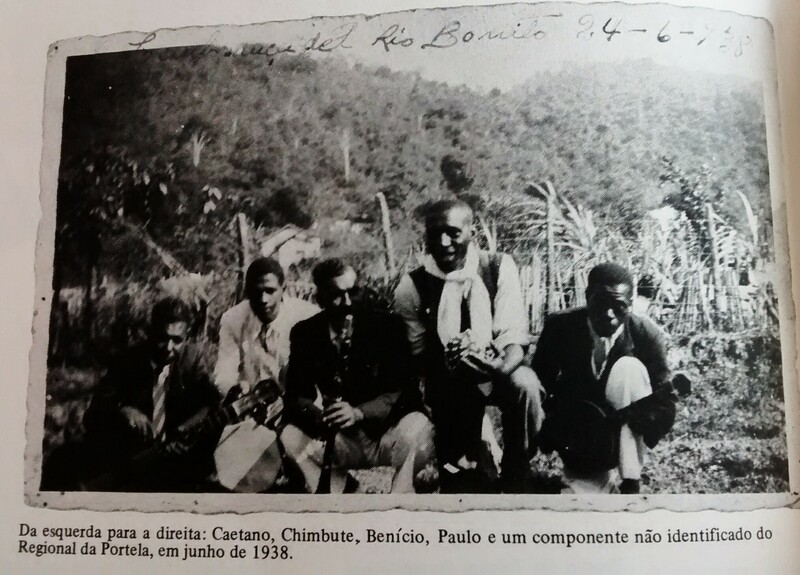 “Linda Borboleta” reveals the environment in which Paulo was composing in the 1920s and 1930s: He had moved with his family from Rio’s central port zone to the rural parish of Nossa Senhora da Apresentação de Irajá — the neighborhood that eventually came to be known as Oswaldo Cruz when the train station was renamed in honor of the renowned sanitarian. With almost no basic infrastructure and day-to-day activities revolving around agriculture and music, Portela samba school established a rich heritage of singing about nature — butterflies and roses, for instance — more than centrally located samba schools like Mangueira and Estácio. Below I’ve compiled a short history of Paulo da Portela and the Portela samba school, for those who want to know more. Paulo da Portela was born Paulo Benjamin de Oliveira in the Santo Cristo neighborhood of Rio de Janeiro’s port region. His father abandoned the family when he was still a toddler, and Paulo began working odd jobs to help support his mother, older brother and younger sister. He sold boxed meals in neighboring Saúde, the heart of Rio de Janeiro’s earliest rodas de samba. At the time, the area was booming with recently arrived migrants from all over Brazil, mainly Africans and Afro-Brazilians. The worst drought in northeastern Brazil’s history, the collapse of the coffee industry in Vale do Paraíba, the end of the Paraguayan War in 1870, and especially the abolition of slavery in 1888 contributed to this migration to Rio. Between 1890 and 1910, the capital of the recently proclaimed republic nearly doubled in size, reaching almost a million (pop. 989,479). The port area and surrounding neighborhoods concentrated all of the heavy-lifting jobs at the port along with the city’s largest center of wholesale markets, on the nearby Rua da Alfândega, and therefore drew in a large concentration of these migrants. Paulo da Portela grew up in this Afro-Brazilian stronghold until he was nearly 20, at which point his family could no longer make ends meet in the center of the city. 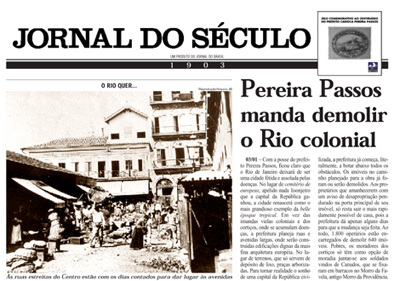 Costs had risen exponentially in downtown Rio after Mayor Pereira Passos’s urban reforms of 1903 – 1906. Passos’s reforms were modeled after Paris’s urban reforms of 1853-1870, with the slogan, O Rio civiliza-se (Rio gets civilized); giant slum tenements and community housing in the port area were destroyed, forcing residents to begin moving up onto the hillsides — favelas ballooned — or out to the rural outskirts of the city. What little housing remained near the port became infinitely more expensive. Still, Paulo’s family held out for over a decade, albeit in ever more precarious living situations. Then Prefeito Carlos Sampaio razed more port-area housing – most notoriously the historic Morro do Castelo, which he argued disrupted ventilation in the city, presented sanitary problems, and was on real estate too valuable to be taken up by tenement housing. These 1921 reforms pushed Paulo’s family out to the indigent rural outskirts of the federal capital. 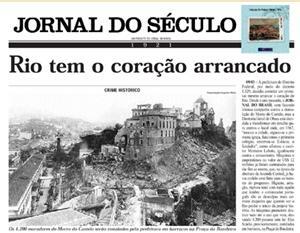 This headline from March, 1921, about the destruction of Morro do Castelo, reads “Rio has its heart ripped out.” Morro do Castelo was a landmark in the city’s history, the spot Mem de Sá had established in 1567 to house the Portuguese who had helped to expel the French from the nascent city. In orange, the Santo Cristo neighborhood near Rio de Janeiro’s port. In orange, the Oswaldo Cruz neighborhood of Rio de Janeiro. Paulo da Portela took the train with his mother and sister (his older brother had already died) from Central Station out to the agricultural outpost of Nossa Senhora da Apresentação de Irajá, where he found a culture apart: While by some accounts African roots had been a source of pride among the community in the port region, Paulo found blacks in Oswaldo Cruz seemed to have grown resigned and accustomed to a role as second-class Brazilians. Dona Esther was one of Oswaldo Cruz’s biggest partiers. In the destitute conditions of Oswaldo Cruz at the time, there was little to do but get together with neighbors, make music and drink. 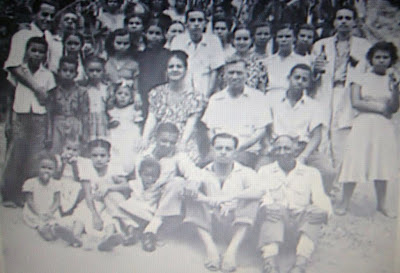 A few figures in the community became respected social movers and shakers and played important roles in the earliest days of Portela: One was Seu Napoleão, whose sister lived in the downtown Estácio neighborhood and brought sambistas like Ismael Silva, Brancura, Aurélio and Baiaco to her brother’s parties. 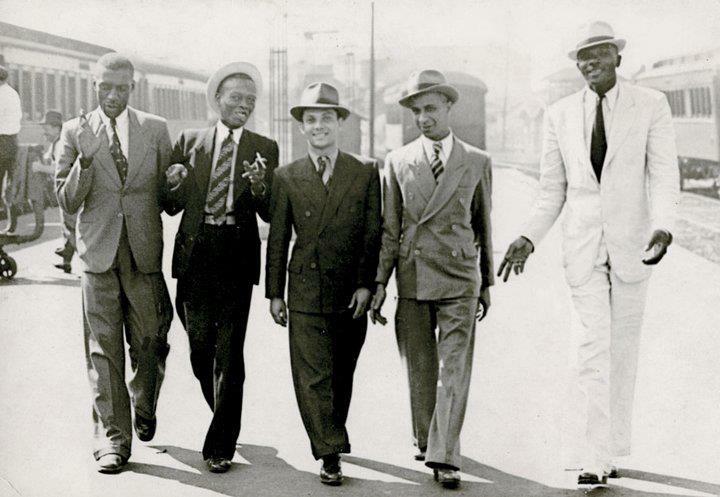 Around this time these sambistas from Estácio had come up with a new rhythm for Carnival, and they spread their new sound in Oswaldo Cruz. 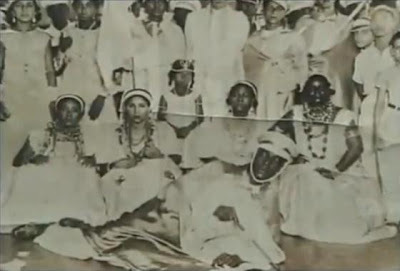 Another dedicated partier was the neighborhood Carnival queen Dona Esther, who organized pagodes at her home that lasted up to “fifteen days at a time” according to Jair do Cavaquinho in this documentary. (They were really probably more like two days at most). Pagodes represented a form of resistance. Authorities saw such manifestations of black culture as gatherings of ne’er-do-wells, and pagodes were often rounded up on the grounds of vagrancy laws, by which anyone without a fixed job was treated as a vagabundo subject to arrest. Paulo da Portela, Heitor dos Prazeres, Gilberto Alves, Bide and Marçal (of Estácio), in the garb Paulo famously insisted all sambistas wear. Paulo, in turn, made a point to maintain good relations with the government and the media, and demanded that his fellow sambistas use nice clothes, shoes and a tie, famously remarking, “Sambistas, to be part of our group, must wear a tie and dress shoes. Everyone must have their feet and necks occupied!” [Sambista, para fazer parte do nosso grupo, tem que usar gravata e sapato. Todo mundo de pés e pescoços ocupados!] He recognized that samba ought to be packaged in a way that would defy the stigmas against the music and its Afro-Brazilian origins. He brought prominent figures from the city into the samba world and served as an ambassador of sorts between sambistas and government officials. As Paulo became a bit of a minor celebrity in the area, things got complicated: There was another sambista named Paulo in nearby Bento Ribeiro. So Paulo Benjamin took on the nickname Paulo da Portela – after the road he lived on, Estrada da Portela – while the other Paulo became Paulo de Bento Ribeiro. Dona Esther, center, played a central role in the founding of Portela samba school. Paulo da Portela with the Baianinhas de Oswaldo Cruz. Baianinhas de Oswaldo Cruz didn’t last too long, probably because of tensions between Galdino and Rufino. Then, as the story goes, Paulo da Portela, Antônio Caetano, and Antônio Rufino got together below a mango tree at Seu Napoleão’s house and decided to raise funds for a new bloco. Between parties at Napoleão’s and Paulo’s they came up with the money to rent a house on Estrada da Portela, and formed the Conjunto Carnavalesco de Oswaldo Cruz. They practiced at the house and also on the train that left Central Station at 6:04 pm heading back after a day’s work to Oswaldo Cruz — a tradition that inspired the Trem do Samba (Samba Train) that Marquinhos de Oswaldo Cruz has organized in Rio since the beginning of the 1990s. The first competition between Rio’s nascent samba schools happened on January 20, 1929 — the day of the feast of Saint Sebastian, Rio de Janeiro’s patron saint, syncretized as Oxóssi in carioca macumba. The competition was organized by the pai-de-santo Zé Espinguela — one of the founders of Mangueira samba school in 1928 — and sponsored by the newspaper A Vanguarda. In this competition, the sambistas from Oswaldo Cruz performed and won with a samba by Paulo’s friend from downtown Rio, Heitor dos Prazeres, who was also part of the Mangueira circle. Heitor was becoming too close to the school for the comfort of the other founders, causing a certain rift between Paulo and the other founders of Portela; this rift would come to the fore again in 1941. Rufino detested Heitor dos Prazeres, claiming he had stolen his samba “Vai mesmo”; Heitor further stirred things up by proposing the school change its name to Quem Nos Faz É o Capricho on the eve of Carnival 1929 — a proposal Paulo accepted. Quem Nos Faz É o Capricho lasted just about two years. Heitor dos Prazeres affiliated himself less and less with the Oswaldo Cruz crew, mainly because of the fight with Rufino. In 1931, the school took the name Vai Como Pode, on the suggestion of Manuel Bam-Bam-Bam, the mestre-sala and tough head honcho at the school. Oh how our Guanabara is beautiful! 1935 was a tense year in the streets of the Brazilian capital after a communist uprising against President Getúlio Vargas. The city determined that all of the samba schools should be properly registered in their local precincts. The officer responsible for registering “Vai Como Pode” deemed the name inappropriate, and suggested the school take the name of the road where it was located – Portela. The sambistas agreed, and the name Portela stuck. Paulo da Portela, meanwhile, was becoming a true samba celebrity. In 1936 he was elected “Cidadão-Momo” (Citizen Momo, inspired by the Carnival figure King Momo) in a contest sponsored by Diário da Noite, and in 1937 he was elected “Cidadão Samba” (Citizen Samba) in a contest by A Rua newspaper. In 1941, Paulo da Portela took part in a series of shows in São Paulo together with Heitor dos Prazeres and Cartola as the Conjunto Carioca. On Saturday of Carnival that year they caught a train back to Rio de Janeiro and went straight to Praça Onze to parade. They were all wearing the black-and-white Conjunto Carioca outfits, and decided they’d parade together in their respective schools in the same outfits. 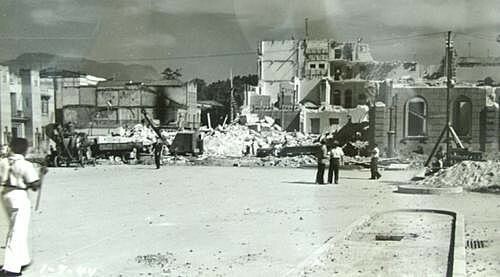 Praça XI destroyed to make way for Av. Presidente Vargas in 1941. Walt Disney (middle) visiting Portela in 1941. 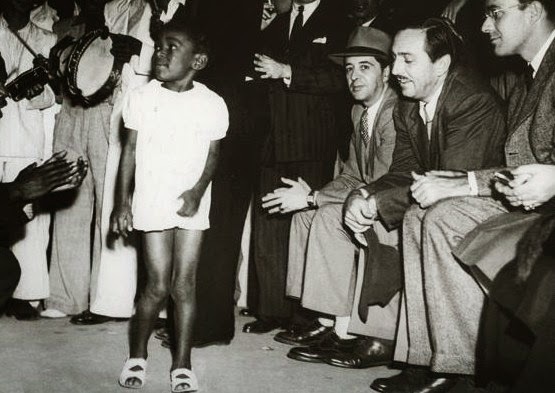 Later that year Paulo followed through with his final obligation to the school, receiving Walt Disney at Portela in August 1941. Disney was in Rio as a Good Neighbor ambassador enlisted to create Latin American characters for U.S. propaganda films during World War II. After Disney’s visit, Paulo left Portela for good, joining the small school Lira de Amor, in nearby Bento Ribeiro. 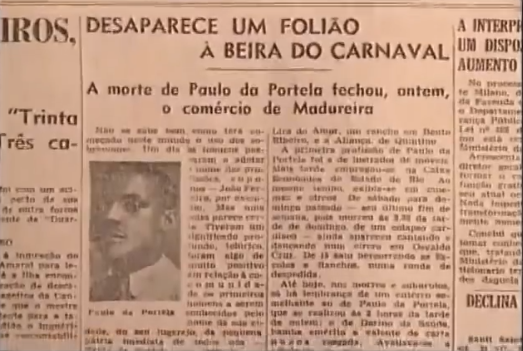 To make Paulo’s falling out with the school even more melancholy, between 1941 and 1947, Portela won seven consecutive Carnival titles — a record still unbroken. Portela also holds the all-time record of twenty-one titles. Paulo da Portela died from a heart attack at his home in the early hours of January 31, 1949, at age 47. The directors of Portela samba school offered the school’s quadra (gym-like enclosure for samba schools) for the wake, but Paulo’s widow turned them down. Since then, he has been continually remembered and honored in Portela sambas. This headline reads: A reveler is gone on the eve of Carnival: Paulo da Portela’s closed business yesterday in Madureira. Como é linda a nossa Guanabara!